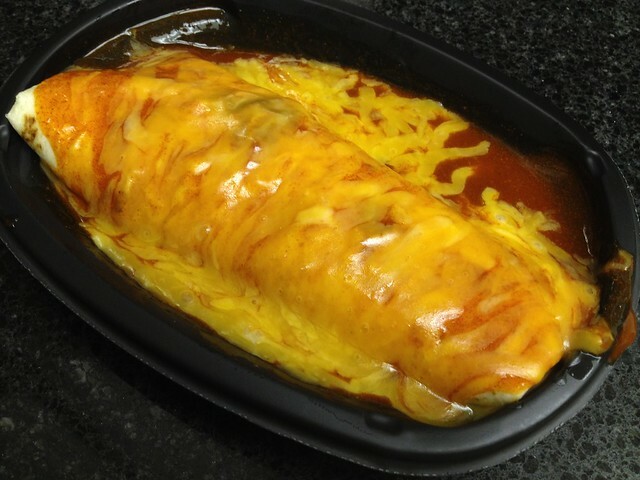 The enchirito is another one of my favorite Taco Bell items probably because it’s SO saucey and cheesy! It goes down so easily during that late night “fourthmeal”, lol! This entry was posted in Fast Food, Taco Bell and tagged beans, beef, cheddar, onion, tortilla by vicentesf. Bookmark the permalink. I have never eaten in Taco Bell. I find that weird…This looks like a delicious kind of gooey. It’s serves it’s purpose after the bars, lol!